The Adobe Photoshop Text Tool is probably the most recognizable Photoshop tool. It stands out clearly from all the other tools in that it is the only tool that deals specifically with text. Although Photoshop is about editing photographs and creating amazing artwork, it is also used by thousands of people for graphic design work BECAUSE of the text tool. 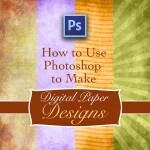 Brochures, posters, flyers and plenty of other marketing materials are created using Photoshop. The text tool does a lot more then just let you lay out text. 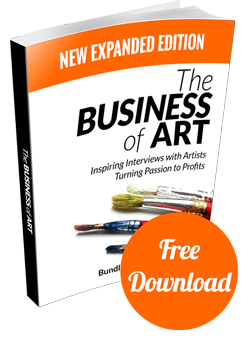 It has lots of extra features that let you turn text into art and design elements. I would personally never use it to create graphic design work because it is still limited in its layout capabilities. As someone who uses QuarkXpress and Adobe Indesign (true graphic design software), it just falls short in that area. But for artwork, I love it. Below is a short excerpt on the text tool from my course on Udemy called “Digital Collage Sheets Quick And Easy with Photoshop Kit“. 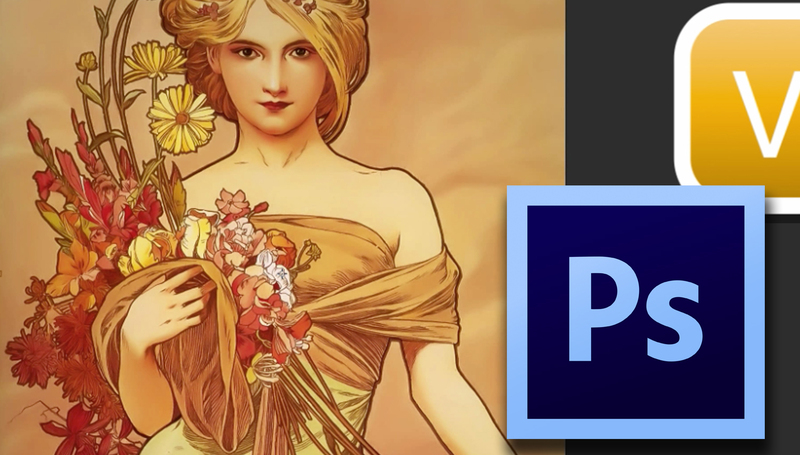 The Photoshop Magic Wand Tool lets you select some or large portions of an imaging based on the color content. You can set the Magic Wand Tool’s “tolerance” level from 0 to 100. 0 grabs nothing while 100 grabs everything. 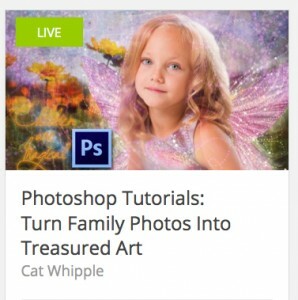 The magic want tool lets Photoshop users select parts of an image without having to trace around everything. 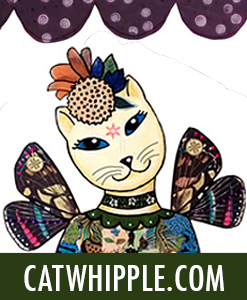 It makes partial image selections much easier. 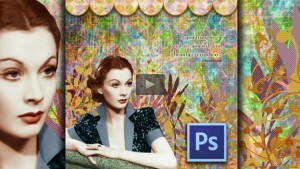 Below is part of a video from my Photoshop course on Udemy entitled “Digital Collage Sheets Quick And Easy with Photoshop Kit“. 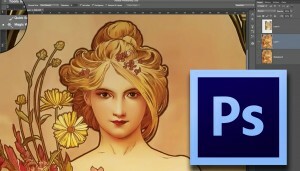 The course is designed for any level of Photoshop user, from beginner to expert. The Photoshop Move Tool is another one of those very basic tools that takes only a couple minutes to figure out. 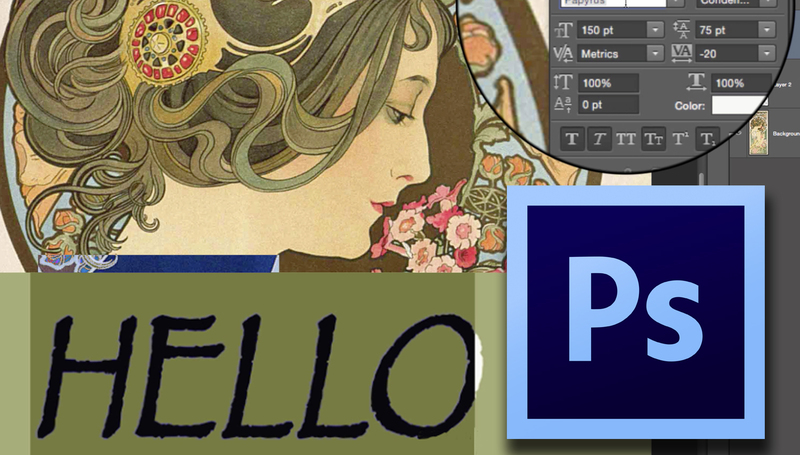 When you first start looking around in Photoshop you might feel overwhelmed and a bit intimidated by its huge interface. But a lot of the tools only have one or two purposes, and once you know what they are and how to use them, then you KNOW them. The Move Tool is one such tool. 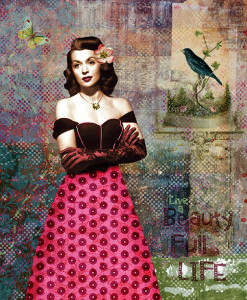 The video tutorial below is an excerpt from my Photoshop course on Udemy called “Digital Collage Sheets Quick And Easy with Photoshop Kit“. 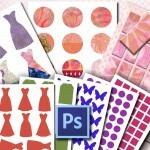 The course comes with 10 collage sheet templates so students can immediately start creating their own digital collage sheets. The Photoshop course is for both beginners and advanced users.